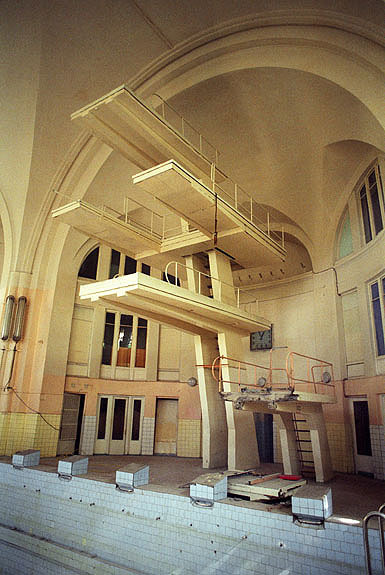 An Evangelical Lutheran Church of Ingria old people's home in Kelton, a small town 20km east of St. Petersburg. 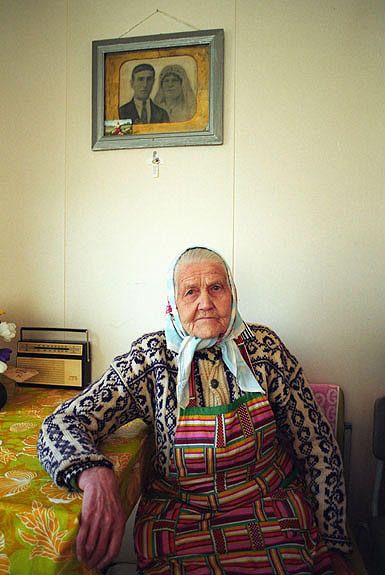 Anni Hanikkainen (88 years) lives in this small home for old people. 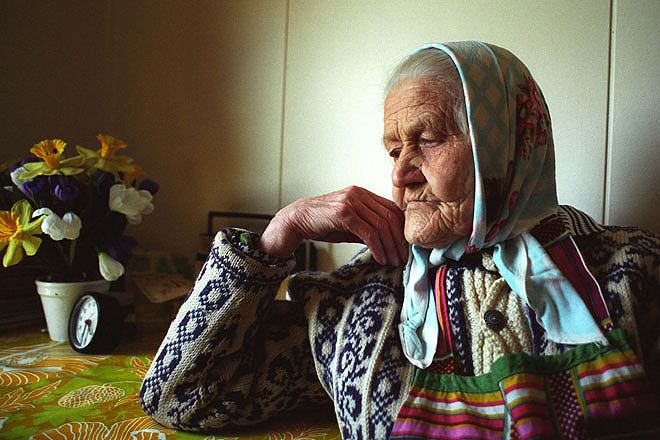 As part of the Finnish minority in the region, her husband was deported in 1943 and sent to Siberia, from where he never returned. 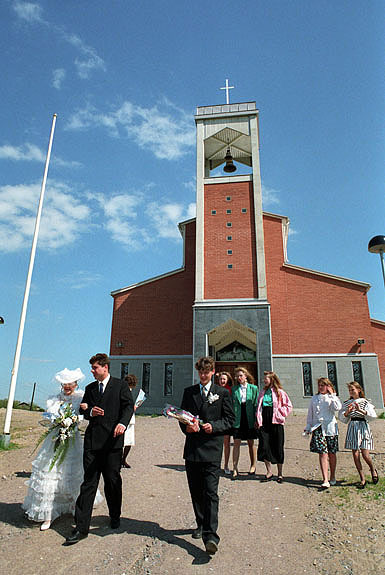 Wedding at the Evangelical Lutheran Church of Ingria in Kelton, a small town 20km east of St. Petersburg. 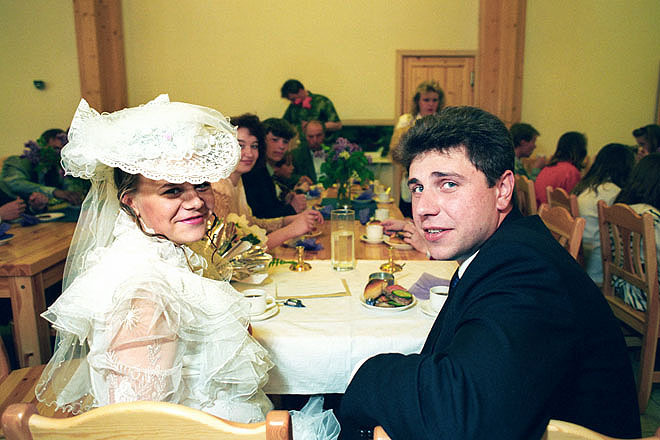 Wedding lunch at the Evangelical Lutheran Church of Ingria in Kelton, a small town 20km east of St. Petersburg. 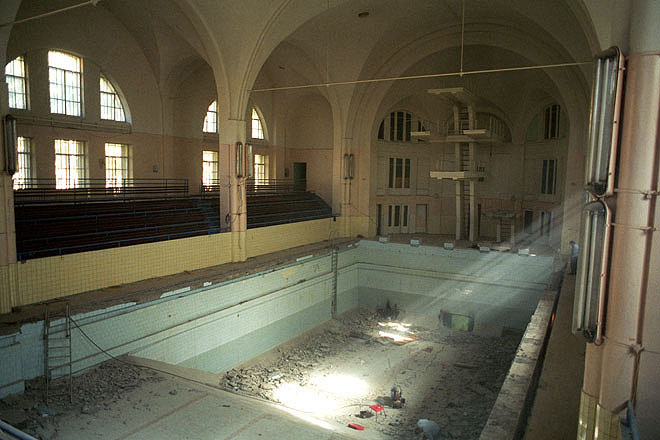 The St. Petri German Lutheran Church in the centre of the city was closed during the thirties and transformed into a swimming pool. 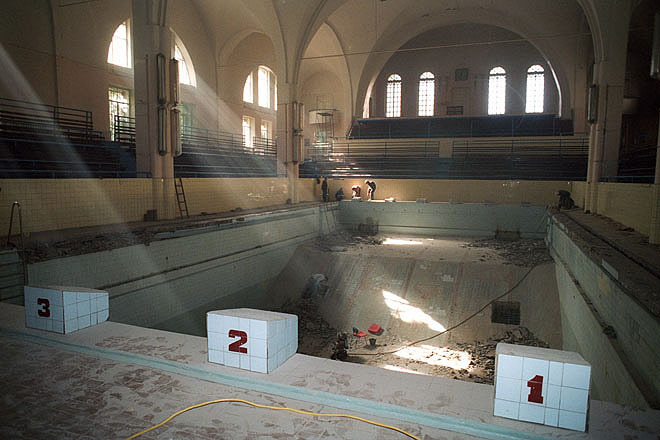 Today the church is being restored. 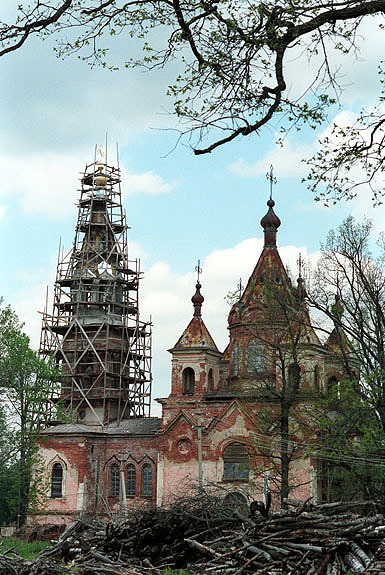 The old Orthodox Church on the 80ha Pogi Farm about 40km from the city is at the moment being restored. 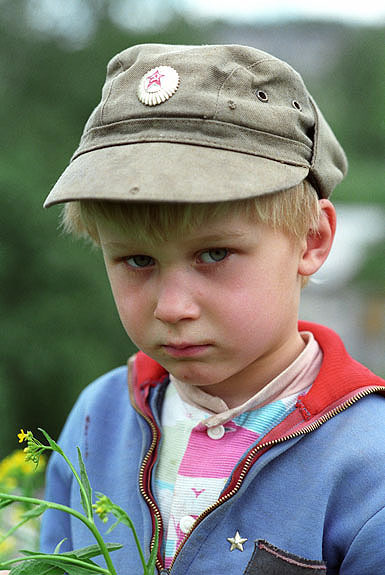 The farm will in the future provide training in new techniques and management skills. An 80ha farm about 40km from the city, the Pogi Farm, will provide training in new techniques and management skills. Staff family during lunch break. An 80ha farm about 40km from the city, the Pogi Farm, will provide training in new techniques and management skills. Staff and family during lunch break. 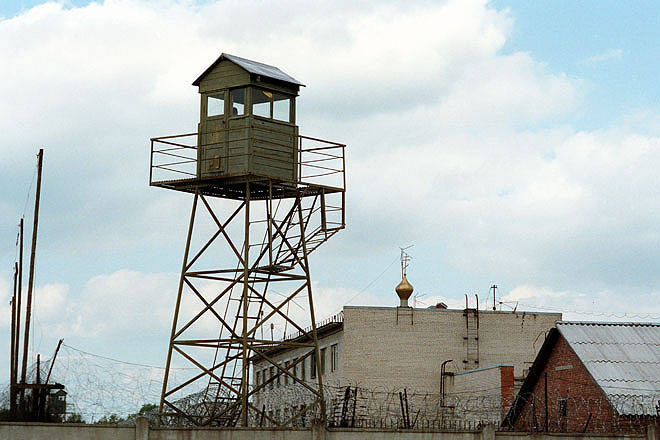 A prison in the small village of Fornosva on the outskirts of the city. 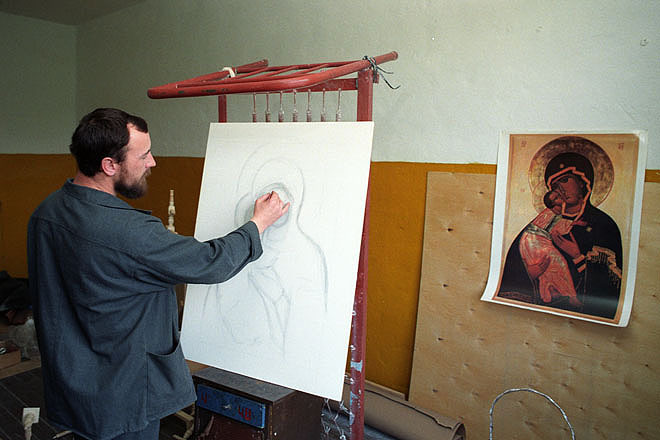 Various individuals, organizations and the Orthodox Church have helped to start an icon workshop and to build a small chapel (with a dome) in the prison. 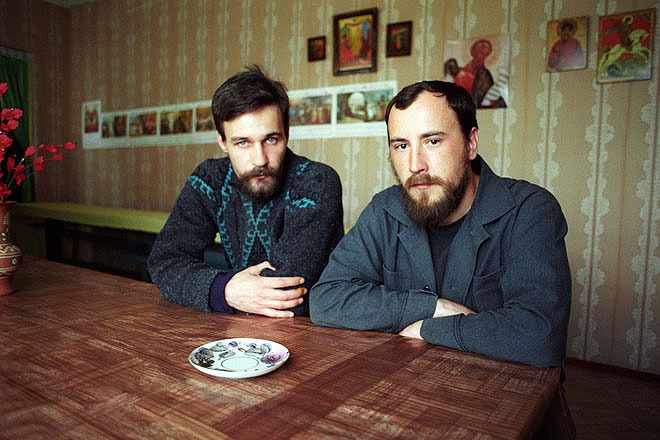 A prison in the small village of Fornosva on the outskirts of the city. 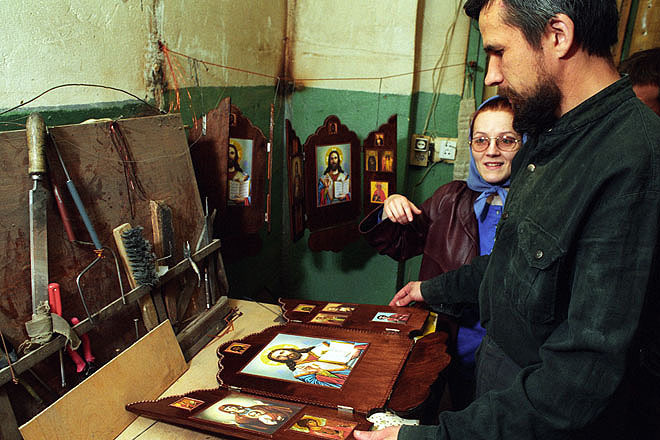 Various individuals, organizations and the Orthodox Church have helped to start an icon workshop and to build a small chapel in the prison. A prison in the small village of Fornosva on the outskirts of the city. 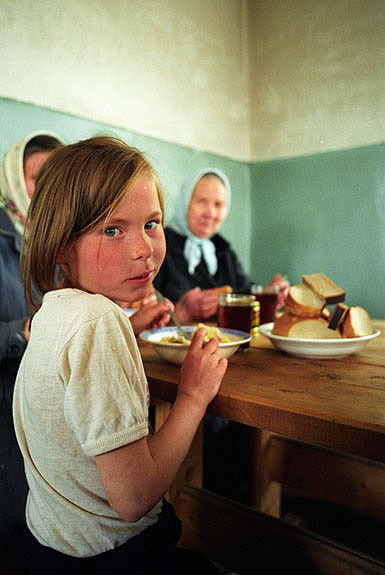 Father Kirill in conversation with two women at Prof. Ott's maternity hospital. 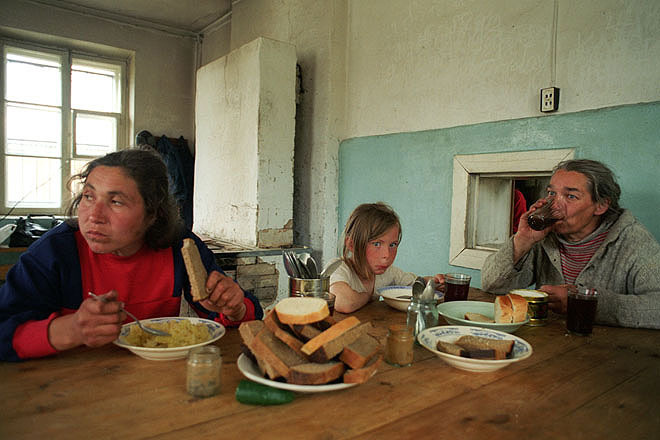 Social services have deteriorated in the former Soviet Union. 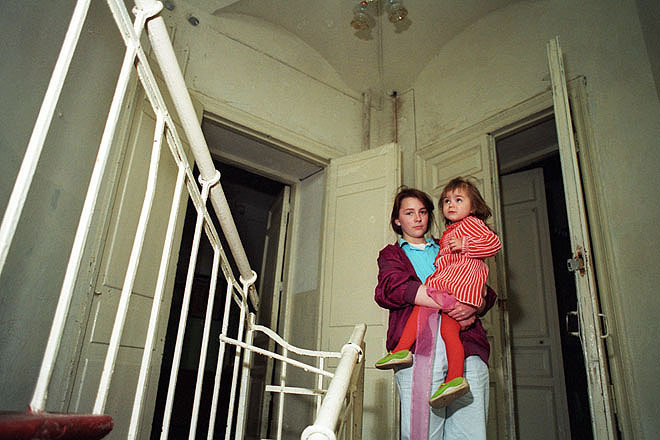 Ecumenical Committee along with other groups have started a home for single mothers.